Diane is a Partner at Gardner Leader in the Commercial team. She is based in the Maidenhead and Newbury offices. Diane has considerable experience of advising businesses, charities and social enterprises, in a broad range of corporate and commercial matters, including commercial contracts, mergers and acquisitions, business start-ups, restructuring, shareholder arrangements and exit, banking and re-financing projects, compliance and risk management, company secretarial and joint ventures. Diane regularly acts for privately owned businesses or as outsourced UK legal counsel for the UK subsidiaries of multi-national organisations based in countries including the USA, China, Canada, Finland, Japan, Germany and the Netherlands. For over 10 years, Diane has given transactional support and commercial legal advice to clients in relation to all stages of the waste cycle and to waste to energy/renewable energy clients. Ranked as a Band 1 Environment lawyer by Chambers UK 2015, Diane is noted by Chambers UK 2015 as being “held in high regard by her clients”. 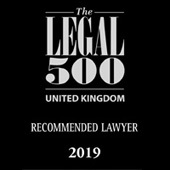 She is a ‘highly recommended’ lawyer in corporate & commercial sector in Legal 500 listings and is also experienced in advising third sector clients on commercial, structuring and governance matters and has worked with a number of national and multi-national not for profit organisations, including charities and sporting organisations. 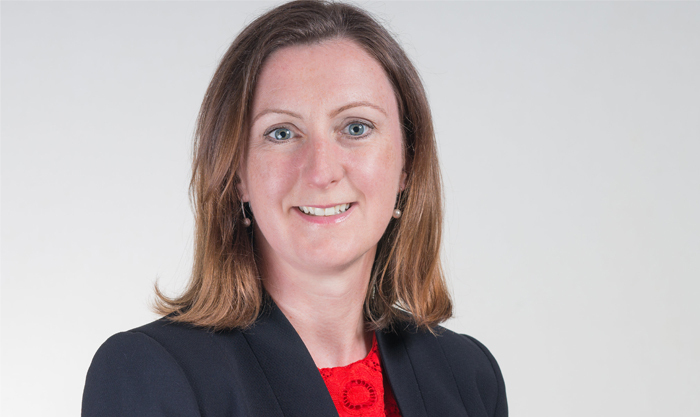 In addition to experience gained working as outsourced legal counsel for in-house teams, Diane has also worked in-house within the legal team of the London Organising Committee of the Olympic and Paralympic Games during 2010. During this time, Diane prepared contracts for the operation of various World Cup and other sporting events making up the London 2012 programme “London Prepares”. Diane’s work encompasses a variety of charity and social enterprise structures advising on constitutional and governance issues, mergers and restructuring, trading and commercial relationships, business contracts to supply services, company secretarial services, dealings with the Charity Commission and other regulators and international operation and arrangements. She is a trustee of the Prince Philip Trust Fund and an Executive Board Member of Henley Women’s Regatta, the premiere regatta for women in the UK. Advising a leading bank on the terms of and security for a multi-million pound loan being made to a charity operating a private school. Advising the members of yacht club run in Putney on the incorporation of the club and transfer of assets into a new company limited by guarantee. Advising a national waste management company on its multi-million pound purchases of a business that collects, processes and disposes of hazardous waste on a national basis and of a chemical treatment plant and business based in Sheffield. Advising the committee of an annual rowing event in Henley on the incorporation of the event as a company limited by guarantee and the future governance of the event. Advising the board of Leap, the Buckinghamshire & Milton Keynes County Sports Partnership, a not for profit organisation, and one of 49 County Sports Partnerships nation-wide on structure and future governance. Advising the successful bidder on a tender for Manchester City Council’s waste collection and street cleaning services, including advising on and negotiating the terms of the waste collection contract. Advising the members of an LLP running a specialist training company on the retirement of a member, the terms of a deed of retirement and changes to the LLP agreement. Advising the partners in a property development business on the incorporation of the partnership as a limited company and the creation of a group structure to mitigate development risk. Advising a US-based global container hire company on the purchase of the assets and operations of a container hire business based near Glasgow, Scotland. Advising the individual shareholders of a Pinewood Studios based prop-production company on the sale of the entire issued share capital to a German group. Advising the Global Compliance Director of a US-based webhosting company on compliance with environmental legislation relevant to the UK business. Advising the individual shareholders of a City-based leading political and regulatory advisory firm on the sale of the entire issued share capital to a global consultancy business. Advising the entrepreneur behind a luxury fragrance business on establishing a new European distribution network. Diane Yarrow qualified in 2003. 14-07-2016 - Brexit – How will you be affected?